Readers of this blog may recall that a few years ago I made some posts about American crime writer Elizabeth Fenwick (1916-1996), an author who still remains sadly neglected, despite the recent resurgence of popular interest in mid-century women "domestic suspense" writers following Sarah Weinman's crusading efforts on their behalf. As far as I'm aware, Fenwick's last book to see a print issue was the 1987 paperback Academy Chicago edition, now itself rare, of Goodbye, Aunt Elva (1968), which just missed being made into a film by Robert Aldrich, maker of the classic so-called "deadly biddy" films What Ever Happened to Baby Jane? (1962), Hush...Hush, Sweet Charlotte (1964) and What Ever Happened to Aunt Alice? (1969), the latter starring Geraldine Page and Ruth Gordon and based on the excellent crime novel The Forbidden Garden (1962) by domestic suspense doyenne Ursula Curtiss. Impresario Aldrich planned to follow Alice with What Ever Happened to Dear Elva?, based on Fenwick's novel, but Aunt Alice had lost money and plans for Elva accordingly were shelved in the early Seventies. Today, some fifty years later, Elva remains unmade and Fenwick's books most regrettably are out-of-print. The film may never be made, but I hope that the books come back in print soon. It has taken me a while to untangle Elizabeth Fenwick's personal history, but now I have, or much of it at least. 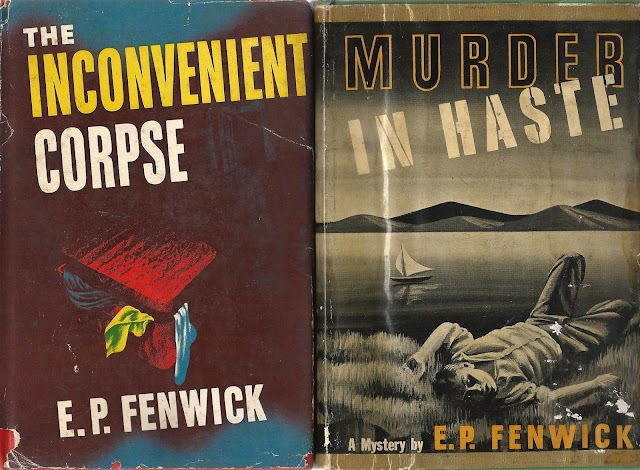 I shall be reporting more on that soon, but here I wanted to talk about the author's first crime novels, what I call her "E. P. Fenwick" trilogy, published in the US by Farrar & Rinehart between 1943 and 1945, when Fenwick was in her late twenties. Afterward Fenwick wrote three "mainstream" novels, not resurrecting her crime fiction career until 1957, when beginning with Poor Harriet, she produced 11 crime novels over the next 16 years, retiring from the field in 1973. This later crime fiction made the author throughout the 1960s one of the better-known American domestic suspense writers, but it is her earlier "E. P. Fenwick" mysteries from the Forties that I want to look at here. These are, as mentioned, three in number, which I call a trilogy, although in fact they are non-series tales. The titles are The Inconvenient Corpse (1943), Murder in Haste (1944) and Two Names for Death (1945). The first two novels take place in New York City and suburban/rural New York, the last in Boston. All three seem to have been generally well-received. The Saturday Review, for example, called Corpse an "exciting and well-written exercise in untrammeled emotions" and declared of Haste that it was "good," with "competent" sleuthing and a "surprising" conclusion. Especially interesting, as is often the case, are the reviews of the E. P. Fenwick books by noted American crime writer and critic Anthony Boucher. The soon-to-be mystery reviewer for the New York Times had reservations about Corpse, observing that while it made smooth reading it was "unconvincing in characterization and solution." 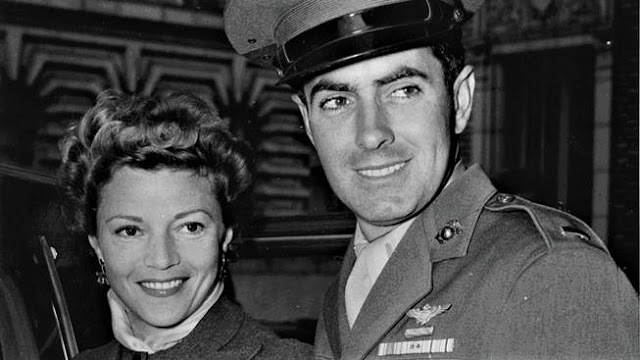 However, with Haste Boucher heralded this "disquieting story of odd psychologies and obscure menaces" as "not unworthy of [American crime writer] Elisabeth Sanxay Holding." Indeed, he opined that "you might call it the first novel of the Holding school, hitherto represented solely by Mrs. H; and a fine foundation for a school it is." When Two Names for Death was published, Boucher concluded that the novel enhanced Fenwick's good criminal name even further: "simply and subtly written, with knowable characters and plausibly complex motivations, this won't disappoint those who recognized Fenwick in Murder in Haste as a possible major contender." A review like that would have made me want to keep at it, but apparently in Fenwick's case it spurred her to try for the "real thing": mainstream fiction. (Events in her personal life may have been a factor as well.) A dozen years passed before Fenwick published her next crime novel. Yet even the three E. P. Fenwick books alone would have constituted a more than respectable crime writing legacy. In the first of these novels Fenwick makes use of many of the beloved devices of classic mystery: the isolated snowbound house party, the solitary woman in peril and the vanishing corpse (a most "inconvenient" one indeed). 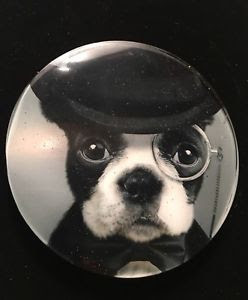 Maggy Simon, assistant to noted NYC journalist Sebastian Evers, with her loyal Boston terrier Sammy and her dashing boss--to whom the reader will conclude she has formed a (one-sided?) romantic attachment--attend a reunion of Sebastian's old high school friends in rural New York, probably around Ithaca, home of Cornell University, where Fenwick was living with a poet and instructor of French at the college. "That's my whole name, you know--like Annabella, in the movies, and that French actress, I forget her name." "Mistinguette?" suggested de Vries, with a Gallic gesture. "That's it," agreed Anna Rose, showing all her beautiful teeth." The house in the country is owned by Freddy and Susan de Vries, Freddy being the editor of the highbrow quarterly review The New Age ("'Oh, that one,' said Maggy, who had been filing away unread copies of The New Age for several years."). The morning after everyone's arrival there, Anna Rose disappears. Supposedly she stormed out into the snow in a huff, determined to go back to New York even though the nearest town with trains and a bus station is twelve miles away. This is a briskly paced and suspenseful crime novel that reminded my quite a bit of Anita Boutell's Tell Death to Wait, a crime novel which was published four years earlier, though Corpse actually is a rather warmer and more human book, despite both the cold weather and people (Boutell, an American living in England, wrote a convincingly frosty British book.) Maggy finds herself opposed by Sebastian's old friends in her attempts to get at the truth about Anna Rose and the motivations of Sebastian himself are not always clear to her; yet she defiantly soldiers on until the truth comes to light. She's an appealing heroine, not a dithering wet noodle like so many of the protagonists in Mignon Eberhart's hugely popular mysteries from the period. The continued popularity of those young women has always rather mystified me. 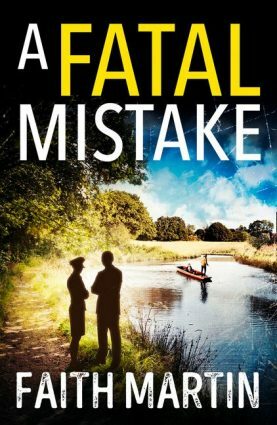 Fenwick's second mystery novel Murder in Haste offers a more deeply drawn milieu and greater plotting complexity than its predecessor, which I appreciated, even if the denouement with all its twists got a bit involved for my tastes. 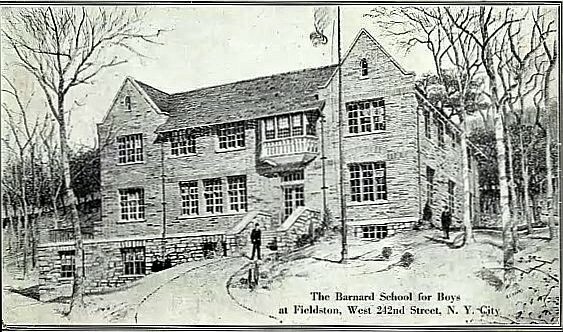 In this one it is a seventeen-year-old schoolboy, Gerald Chase, who vanishes, from the Potter School for Boys, a private school (i.e., a public school in the UK) outside New York City. Three months later the lad's corpse turns up at the bottom of the river bluff behind the school. The body shows wounds consistent with a fall--but did he fall, or was he pushed? Or something else entirely? It's up the local sheriff Thad Shaw to find out, with the help of the headmaster's brainy unmarried thirtyish daughter, Eunelda. This one rather reminded me of a Q. Patrick or Patrick Quentin mystery, including the Q. Patrick public school mystery, Death Goes to School (1936). It's a sophisticated story with some compellingly dark psychological portraiture, particularly concerning the odd Chase family and its satellites. I just wish the denouement had been a little tighter. 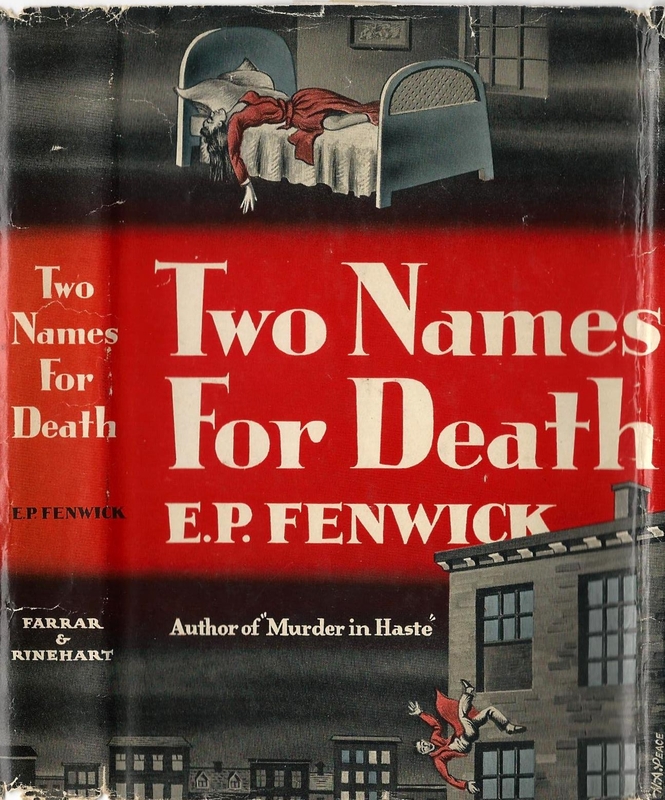 Everything, however, comes together beautifully in the final "E. P. Fenwick" mystery, Two Names for Death, which has the complexity of Haste and the narrative fleetness of Corpse. This one was a real corker of a classic mystery, I thought. Set in Boston, the novel's main focal character is young Barney Chance, a college student working as a cabdriver over the summer, when the deathly events take place. Barney becomes involved with a police case when one of his fares, an enigmatic woman named Lenore Bellane Schafft, is found dead in her hotel bedroom, with both of her wrists slit. Suicide or murder? By coincidence (indeed!) this woman is closely connected to the household where Barney himself rooms, along with the owner of the cab company for whom he works, a fifty odd bachelor named Edward J. Bottman. Midway through the novel another death occurs, this time that of a man who falls fatally from the window of his six-story hotel room, and again the police (and the reader) are left with the question, suicide or murder? I don't want to say too much about the involved family dynamics in this story, for fear of spoilage, but I found Names an immensely enjoyable detective novel, complexly yet cleanly plotted with characters that actually live (until they die, that is). For someone who later excelled at the stripped down mid-century crime novel, Fenwick here produced a densely packed true detective tale with quite credible police investigation. I fully agree with Anthony Boucher's opinion of the novel and highly recommend it to vintage mystery fans. Fenwick could have gone from here to write a whole series of Boston set mysteries but instead she produced only three mainstream novels over the next dozen years. I will look at this matter, as well as the mysteries in Fenwick's own life, in an upcoming post. Like just what does "E. P." stand for? Elizabeth...??? More soon.